The Illuminating Engineering Society was founded in 1908 following an informal meeting arranged by Leon Gaster, editor of The Illuminating Engineer, which had been established the year before. The Society continued until 1977 when it merged with the Institution of Heating and Ventilating Engineers to form The Chartered Institution of Building Services. (It was a few years later that Engineers was added to the title). The centenary of the founding of IES has now passed, but the intention is still to provide background information on its Presidents. Listing all their names on this website is to encourage contributions from as wide an audience as possible. The IES had a total of 55 Presidents. Apart from the early period, the majority served for a term of one year. J W T Walsh was the only member to be elected twice, in 1929 and again in 1947.
and display biographical information about that person. The following information are the first biographies in this ongoing website project. Alexander Pelham Trotter (1857-1947) During his long and distinguished career he played many parts. He was apprenticed to Easton & Anderson, took out patents for prismatic glassware, and became a partner in Goolden and Trotter, dynamo manufacturers. This was followed by becoming editor of The Electrician for six years, service as Government electrical engineer for the Cape of Good Hope, then Electrical Advisor to the Board of Trade. After retirement he joined the Consulting Engineers Handcock and Dykes. He had a logical mind and was keen to try new inventions. He experimented at Trinity College, Cambridge, with the new Graham Bell receivers in 1877 (the actual year of the first published account) and obtained clear though faint speech across the quadrangle. Later he made his own wireless receiver at a time when many younger men lacked the confidence to attempt such novel work. 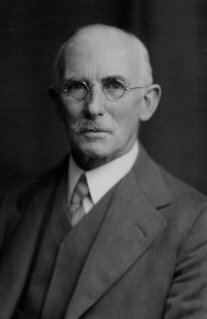 He was a Member of the Institution of Civil Engineers, the Institution of Electrical Engineers (delivered the Faraday lecture in 1926), Fellow of the Physical Society and other bodies. He was one of the founder members of the Illuminating Engineering Society. Two of his books are considered as classics; �Illumination: Its Distribution and Measurement�(1911) and �The Elements of Illuminating Engineering�(1929). It was his paper entitled �The Distribution and Measurement of Illumination� read before the ICE in 1892 that became the basis for modern illuminating engineering. This paper was awarded the Telford Medal and premium, and described a portable illumination photometer and its application to street lighting. At that time there were no internationally agreed lighting units it was necessary to compare the French �carcel-metre� with the �candle-foot� based upon the English Parliamentary candle. 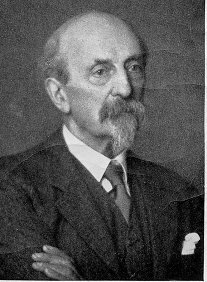 Following the outbreak of the first world war in 1914 Alexander Trotter advised on war-time street lighting, making observations from a balloon for the purpose and was made chairman of the IES Committee, which conducted tests of parachute flares, etc., for the Department of Trench Warfare. In 1915 he conducted some outdoor tests with MacGregor-Morris, Edgcumbe, Clinton, Blok and Dow in an open space behind the School of Mines in Exhibition Road South Kensington London. Although they had been given permission by a police officer they later learned that Woolwich Arsenal, seeing the illumination of clouds over South Kensington, thought an enemy raid had started. As a consequence further tests were moved out to Tooting Common and Stonebridge Park. After the war he was instrumental in the establishment of the Committee on Illumination Research operating under Department of Scientific and Industrial Research. One of Alexander Trotter�s characteristics was the strong dislike of official red-tape. He considered the Physical Society of London represented the closest approximation to his ideal scientific society because of its reduction to a minimum of formalities. In Who�s Who he listed his recreation as �remembering that he is no longer a Government Official�. He spoke French fluently and he and his wife often went to visit M. Blondel in Paris. They had much in common as both had independently developed the dioptric method of distributing light from a source for street lighting. After his retirement to Greystones, Teffont, near Salisbury Wiltshire, he indulged in his many hobbies, making simple scientific toys � mainly in wood � in his workshop. He studied the art of printing and had his own printing press, which he used to print and bind poetry written by his wife. Sir Clifford Copland Paterson (1879 - 1948) was born in Stoke Newington, son of a tanner and leather merchant. He was educated at Mill Hill School and then trained in general and electrical engineering at Finsbury Technical College and Faraday House. In 1901 he was selected by Richard Glazebrook to join the newly created NPL, where he became responsible for the Electrotechnical and Photometric Departments. He was awarded an OBE in 1916 for his work on the Paterson-Walsh aircraft height finder, and in the same year was approached by Osram Lamp works in Hammersmith to set up a research department for them (before the war Osram had depended upon German technology), but he was not free to accept such a post during the war. Five days later after the Armistice had been declared Hugo (later Lord) Hirst asked him to become a founder director of the GEC research laboratories. Originaly housed at Hammersmith, 71 staff moved into a purpose built facility in Wembley in 1922. Work on filament lamps developed into thermionic valves. Starting with a small team of five or six, during WWII the staff grew to more than a thousand and their work on searchlights, camouflage, radio and radar was to play a key part in the war effort, rewarded by his knighthood in 1946. This period of his life is recorded in "A Scientist's War - The War Diary of Sir Clifford Paterson 1939 -1945 edited by Clayton and Algar. He was President of the IES during 1928 -1929 and the IEE in 1930 -1931, served on Committee's of Department of Scientific and Industrial Research, notable its Lighting of Building report in 1944 which brought the Architectural and Lighting professions closer together. He was appointed to the board of GEC in 1941 and and received his knighthood in 1946. He was awarded Fellowship of The Royal Society, received an Honary Doctorate of Science from Birmingham University. The Gold Medal of IES of North America was presented to his wife on 23rd July only 3 days before his death. The International Commission set up in 1900 and Paterson attended as NPL representative in 1907. This became in the International Commission on Illumination in 1913 and Paterson served as Hon Secretary of from its formation, and was instrumental in its revival after the war with the first technical session in Paris in 1921. Paterson remained Hon Secretary of ICI until his death with only one break when he was its President during 1928 - 31. This period as President culminated with the International Illumination congress in UK with 140 delegates from overseas. It formed the first large scale demonstations of the floodlighting of buildings. His work during the second world war is documented in "A Scientist's War - the War Diary of Sir Clifford Paterson" by Clayton and Alger (ISBN 0 86341 218 1). Apart from his scientific attainments he is remembered for his high principles and human personality to inspire team spirit whilst allowing his staff freedom to work. Born in Bristol he was educated at the University College Bristol and completed at St Bartholomew�s Hospital London. He took a degree in physiology and qualified in medicine. He became ophthalmic surgeon to University College London and the Hospital for Sick Children Great Ormond Street, London. But medical practice was not his first love. He lived for research and clinical ophthalmology was insufficient he needed to investigate the optics together with the perceptual and psychological aspects of vision and sensory perception in their widest sense. Author of many scientific papers and several books his achievements were widely recognised by the academic world. In addition he was constantly and intensely active in numerous national Committees. These included the Glass worker� cataract committee, sight test for Board of Trade, Factory Lighting for the Home Office, eyestrain in cinemas for IES, tests for motor drivers, medical councils for Admiralty and Air Ministry. For these public works as well as his scientific eminence he was created CBE in 1919 and knighted in 1922. Throughout the whole of his career he was associated with the Gas Light and Coke Company of which he became Controller of Gas Sales. For many years he was Executive chairman of British Commercial Gas Association. It was largely through his influence that the service side of the gas industry was developed and its social aspects were so assiduously cultivated. He also served on many government committees and was identified with numerous social and charitable movements. He was a founder member of IES in which he took a keen interest serving on the council and committees before becoming president. He served on the National Illumination Committee and was involved with the organisation of International Illumination /Conference in England in 1931. He was Director of the Electric Lamp manufacturers� Association from 1923 until his retirement in 1940. His electrical experience began in 1892 when he joined Crompton & Co. Ltd. at Chelmsford. He made many visits overseas and for 12 years represented Siemens Bros. in South Africa. He was responsible for the formation of the Lighting Service Bureau in 1924. Born in London he patented a tubular filament lamp in 1901 and obtained the name Linolite in 1933. The company specialised in strip light for displays and shaving lamps. The London factory was demolished in an air raid in 1941 and was relocated to Malmesbury in Wiltshire. During the war production was diverted to making hose clips for bomber aircraft de-icing system. As the main supplier of these components they made 7.5 million during the war. After the war production reverted to making electric lights. In 1985 they relocated to premises at the top of Tetbury Hill but closed in 1993 with the loss of 200 jobs. Joined British Thomson-Houston Company in 1924 when he left Oxford. After some time on valve research his interests widened and he rose to be head of the lamp and vacuum physics section. He joined the board as Director of Research and Education in 1946. Studied physics at London University and after graduation spent three years at the National Physical Laboratory under Dr John Walsh. He then joined the Research Laboratories of General Electric Company in the Illumination laboratory under Sir Clifford Paterson and became its Director in 1939. During the war years the department which included John M Waldram and Dr. Ralph G Hopkinson was responsible for solving many defence problems associated with light, lighting and vision. He was president of Association of Public Lighting Engineers in 1966 and the Commission Internationale de l�Eclairage (CIE) 1975-79. He served on many national and international committees and his wrote Principles of Lighting (1951), recognised as a standard textbook. Educated at King Edward VI School Stourbridge and Birmingham University where he graduated with BSc and PhD in Electrical Engineering. From 1938 to 1946 he was in the illumination department of the Research Laboratories of the General Electric Co. Ltd. He then moved to the Plastics Division of Imperial Chemical Industries responsible for the application of plastic materials to lighting equipment. A Fellow of the Society and a Member of IEE he represented the British Plastics Federation on the National Illumination Committee and various BSI committees. Eddie Sawyer started his lighting career at the age of 15 in the Photometry Division of the National Physical Laboratory under Dr J W T Walsh. He went to Imperial College in 1925 to study electrical engineering and in 1929 joined the Lighting Service Bureau set up by ELMA as a front for their promotional activities in the old BBC rooms at the top of the IEE building in Savoy Hill. During the war he was seconded to the National Industrial Lighting Service giving technical guidance in the very rapid expansion of lighting in factories schools and hospitals. He was appointed Manager of the Lighting Service Bureau in 1944. 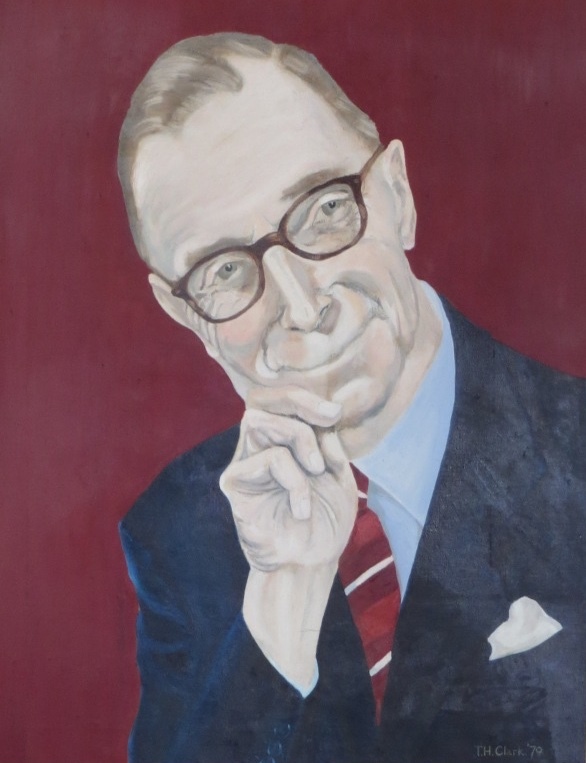 In 1957 The British Lighting Council was formed to replace LSB and Eddie was appointed Secretary an office he held until his retirement in 1965. Started his lighting career at GEC Hirst Research Centre. During the second world war he served in the Admiralty working on searchlights and signal visibility at HMS Vernon. Later he joined the Royal Naval Scientific Service and worked under W D Chesterman and J Y Cousteau on underwater photography. In 1949 he joined Building Research Station to work with R G Hopkinson on daylight and artificial light in buildings, including studies on flicker, visual fatigue and hospital lighting. He was made a Fellow of the Society in 1954 and was vice president from 1971 to 1973. He chaired the Papers Committee in 1969-70, and served on the IES Awards Committee and Technical Committee including the drafting of the 1973 Code, and again in 1975. Between these last two posts he was chairman of the panel considering revision of the IES Glare System.